Days are surely hectic, with each day quickly passing off before I even realize. Boys haven’t asked about Athamma as they are so busy with their studies and games. However I know when she comes home, she will get to hear from them. With all the regular planning, I know it becomes extremely hard to plan differently for different diet. 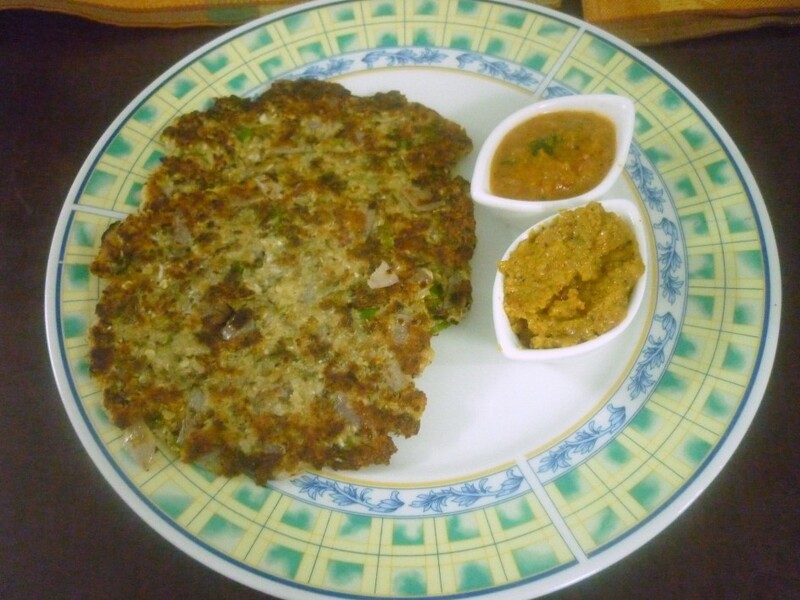 This Moong dal Roti was made for Athamma, which I am finally getting to share. As such Moong dal is supposed to be very healthy as the breakdown is less when compared to other lentils, and on top this was also sprouted. We ended up having one healthy and delicious rotis. We made these rotis as Akki Roti/ Biyam Rotti. Since there is no gluten, you will not have a dough like Wheat rather like rice flour. Adding all the vegetables gives body and you can easily pat it down. Wash and sprout Moong dal. Grind chilies with sprout moong dal coarsely. Mix in onions, cabbage, cumin, besan, maida 2 tsp each. mint leaves. Knead to a stiff dough, pat down into discs and cook on hot tawa. Add just enough water while grinding. This will make it easy for you to pat down as a roti. 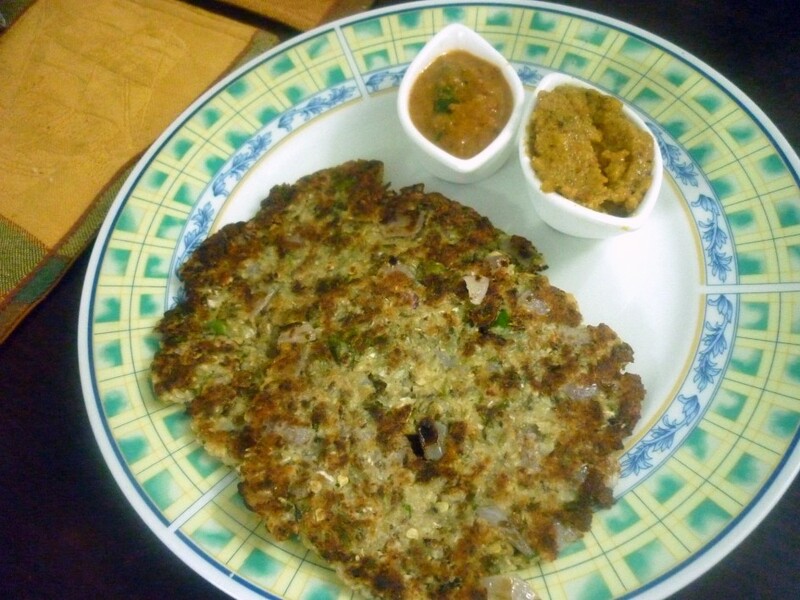 This makes a great breakfast as it’s very filling, else make thinner rotis and serve for dinner. Thnaks for this recipe. This something that I can prepare for my hubby and FIL. a super one.different from what we make…will surely try this one.